Chicago Bicycle Accident Lawyer | Illinois Bicycle Lawyers at Keating Law Offices: Palatine Residents Create the "Greater Palatine Bike Task Force"
Palatine Residents Create the "Greater Palatine Bike Task Force"
A volunteer group of Palatine residents has joined together to improve conditions for local bicyclists. The Greater Palatine Bike Task Force is compromised of 25 residents who strive to increase cycling in the community and to make bicycling safer and more convenient. “Our main focus is to make Palatine a bicycle-friendly community,” said Wayne Mikes, the task force chairman. The group’s efforts seem to be paying off as Palatine recently approved a community bike plan. Mikes told the Journal & Topics Newspapers Online that he expects designated bike lanes to soon be constructed on Illinois Avenue from Roselle Road to Hicks Road. The task force hopes to see these designated bike lanes along other roads in the village. Further, the group looks to install bike racks throughout the village. 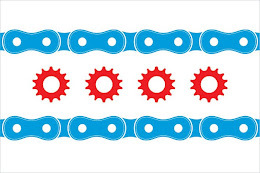 Such community volunteer groups have become common as the number of bicyclist across the state of Illinois continually grows. The attorneys at Keating Law Offices applaud the efforts of the Greater Palatine Bike Task Force. Their efforts to make their community more accessible by bike shows that individual groups can make a big difference.